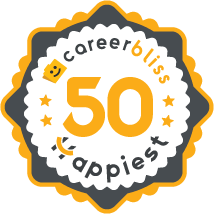 On average, employees at Qualcomm give their company a 4.1 rating out of 5.0 - which is 8% higher than the average rating for all companies on CareerBliss. The happiest Qualcomm employees are Software Test Engineers submitting an average rating of 4.9 and Senior Staff Engineers with a rating of 4.3. "My experience with Qualcomm was unforgettable. Qualcomm and my relationship with the manager provided me work from home in my desperate situations where they had never done before. Provided my circumstances and situation help me out, I would love to work with them again at any cost. What all matters at the end of the day of your work is peace and healthy relationship, not money, where I had seen all those with Qualcomm. Coworker's helpful nature and Qualcomm great support makes me feel I had a step up in my life." "Fun company to work for. Some individuals fly under the radar and provide very little work." "I have worked here for around 1 year. My overall experience is good here." "Qualcomm is a great company. But it's grown too big to give much chance to innovate and research in interesting fields. Lot of learning in so many years, great team and nice culture. Nice place to work. Good employee focus. Work environment, benefits still ahead of the crowd. Great place to start one role and be given the opportunity to move into others. Internal software team are not using the cutting edge technology, stability is more important than fancy. Having said all of the above, it has changed significantly from the beginning. That is to be expected, but becoming a publicly traded company in '91 started a move away from the culture that existed in the earlier days. Many believe management has lost focus on what made this company great." "A very fantastic company which has a very good working environment and has a very talented team." "I've worked at Qualcomm, it is a great company to work for with great benefits. Great compensation and resources." "I've worked for Qualcomm for over a year. Staff are international, friendly and training is very poor. I am compelled to sort my own issues as each staff has a different story/method to get things done. Team work is often aversively cued." "A strong company and enjoy working there,"
"I find it a strong company to work for." "I have worked for almost 2 and a half years in Qualcomm and I strongly recommend this client to everyone. Work environment and work culture is very good. Competition is very hard around co-workers but friendly atmosphere." "I've worked for Qualcomm for just over 5 years. It's a very efficiently run company, with a lot of focus on intellectual property and technology licensing. It's sometimes difficult to be a software focused professional since Qualcomm's core businesses are SoC (system on chip) and RF." "Over all it's a good company." "I've been working with Qualcomm for nearly 3 years now. It is a wonderful mobile SoC company to work for with very smart engineers as its employees." "Qualcomm is very nice company." "I started working for the QUALCOMM, San Jose, CA since August, 2014 and I find it is a great company to work with. It is a great company with changing dynamic and growth dynamic. Will thrive and grow for many years to come."